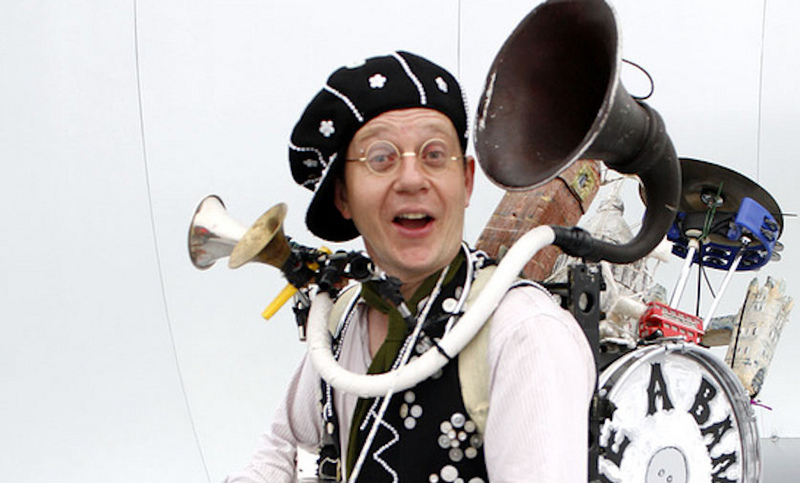 The Have a Banana - Cockney Ding Dong - One-Man Band is the latest in low tech One-Man Bands, and is sure to please and wow crowds in equal measure with a good old cockney knees up. 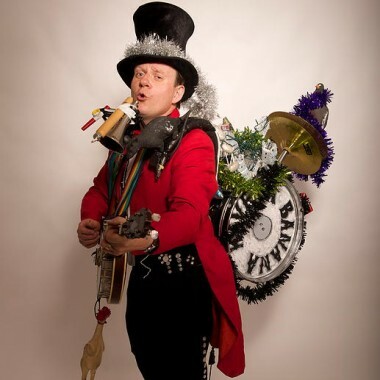 The Have a Banana – Cockney Ding Dong – One-Man Band is the latest in low tech One-Man Bands, and is sure to please and wow crowds in equal measure with a good old cockney knees up. The Have A Banana One-Man Band is performed by Jake Rodrigues. Jake began his musical career in his teens busking with a banjo and his first one- man band. 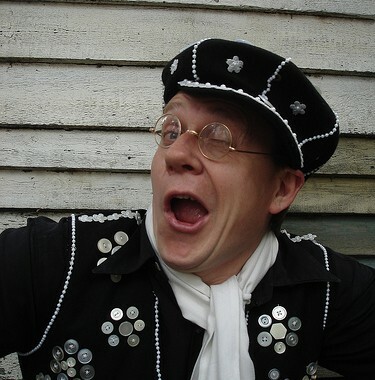 He has gone on to become a much sought after musical performer, where he combines his knowledge and passion for old variety and tin pan alley music with his skills as an engaging performer. 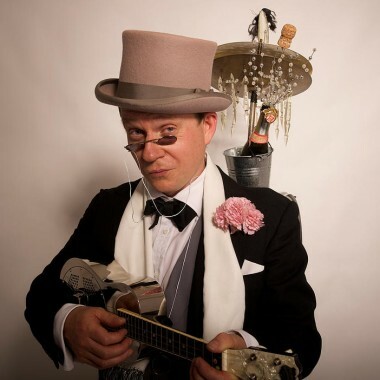 Jake’s musical credentials are numerous from front man in Britain’s longest running street theatre act ‘ The Pierrotters’, critically acclaimed vintage jazz and Hawaiian band ‘The Hula Bluebirds’ and as a musician in unusual acts from Disney to the Midge Ure band. He plays Ukulele Banjo and Accordion with the one man band, playing medleys and sing-a-longs in a familiar cockney style. He can either be a walkabout act or a musical feature in a revue/cabaret. 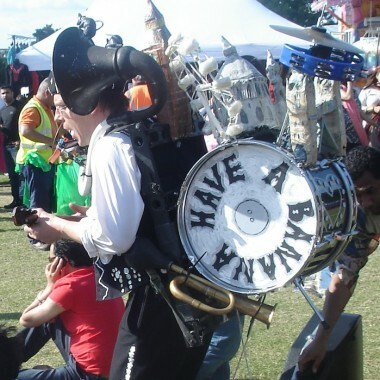 A Have a Banana Bass Drum and Hi Hat Tambourine, Banjo Uke or Accordion, Kazoo, Harmonica, Gramophone PA system, four Whistles, two Honkers and a dozen Spoons for audience participation. Knees Up Mother Brown, Don’t Dilly Dally, Any Old Iron, Lambeth Walk, I’m Forever Blowing Bubbles and I’ve Got a Lovely Bunch of Coconuts.